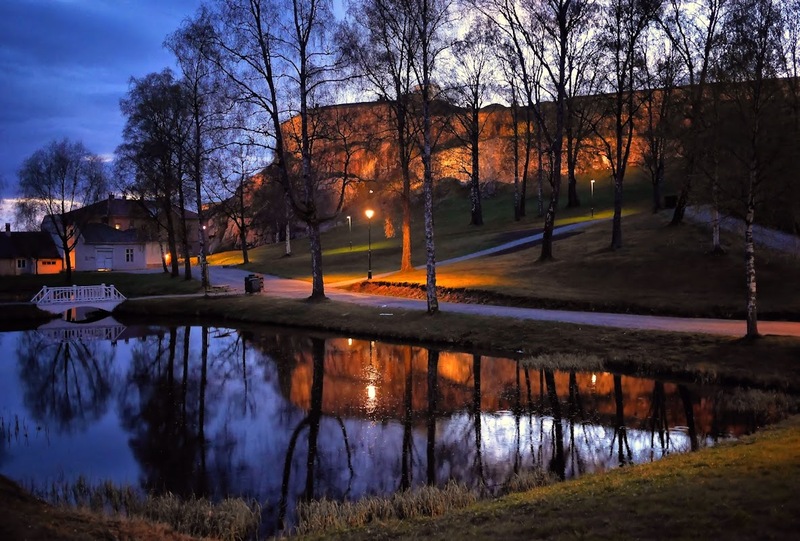 On the backside of the Fortress that face the town and the direction of the Swedish border there is a small pond with a fine mirror effect in the evening. 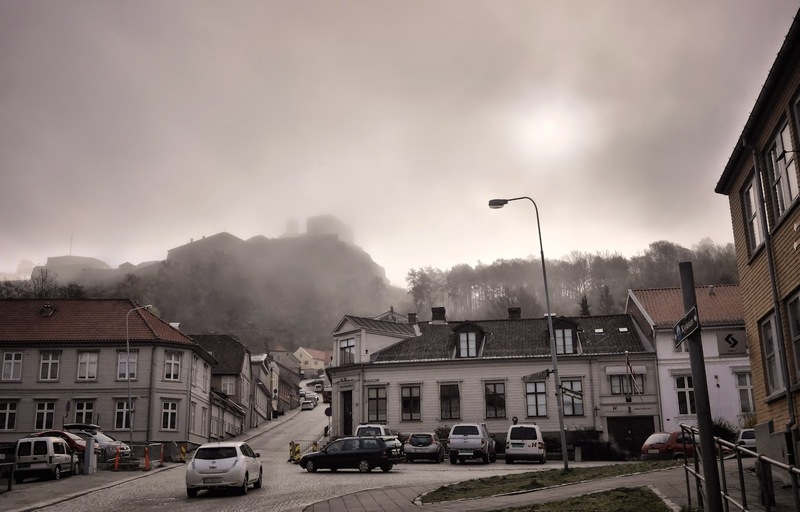 The next morning I have walked down to the city of Halden in the morning mist. Looking up the hills I can barely see the contours of the fortress up in the fog. Later in the day I am back by the fortress to enjoy some fine walks in the well conserved parklike area. Construction of Fredriksten started in 1661 after Norway lost the Bohuslän district and Bohus Fortress to Sweden in 1658. Three subsequent attacks by the Swedes on Halden in 1658-1660 convinced Fredrik 3. the King of Denmark and Norway; a strong, modern fortress was needed. During the war in 1718, Swedish King Karl 12. fell before the walls of Fredriksten fortress. 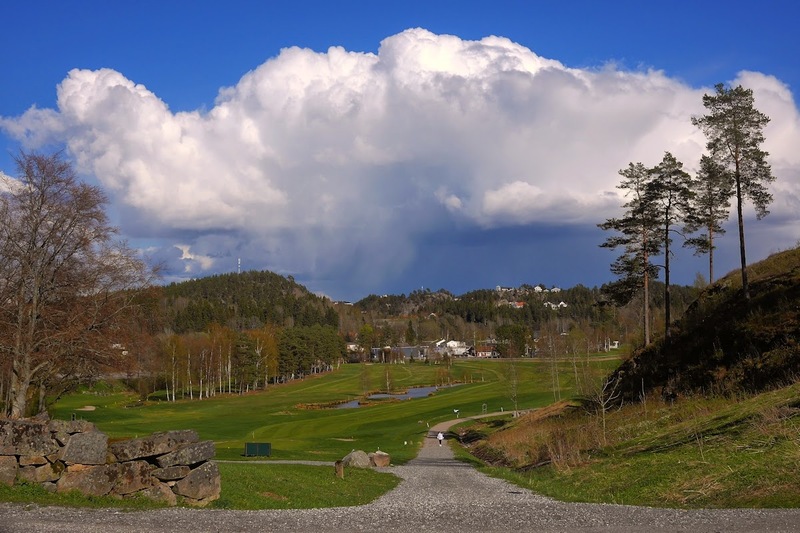 Many also find it one of the most magnificent in Europe, majestically located above Halden. It offers a fantastic view of the town and the fjord, and far into what once was enemy territory.